When you lose all your teeth it can often feel like a hopeless situation and you may fear that false teeth (dentures) are you only option. The sad fact is that many people cannot tolerate dentures and are left in a situation of not being able to eat a proper diet and their quality of life is significantly diminished. Replacing a full arch of teeth with dental implants provides a predictable and fixed solution to this problem and can restore your quality of life in a relatively short time frame, in some cases in just one day! Replacing a full arch starts at £15,000 inclusive of all stages of treatment. 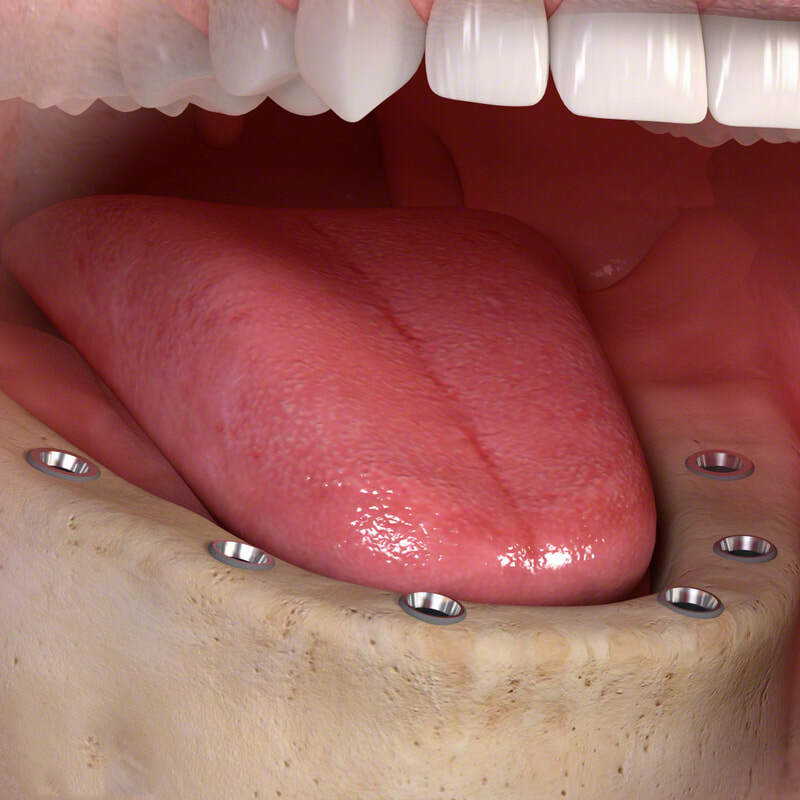 Our price includes the entire process including any need for minor bone grafting during implant placement, there are no hidden extra costs. For all dental implant treatment our patients are given a detailed treatment plan and estimate to clearly show the fees relevant to your own treatment. We offer flexible payment plans including interest free credit to help make treatment as affordable as possible. 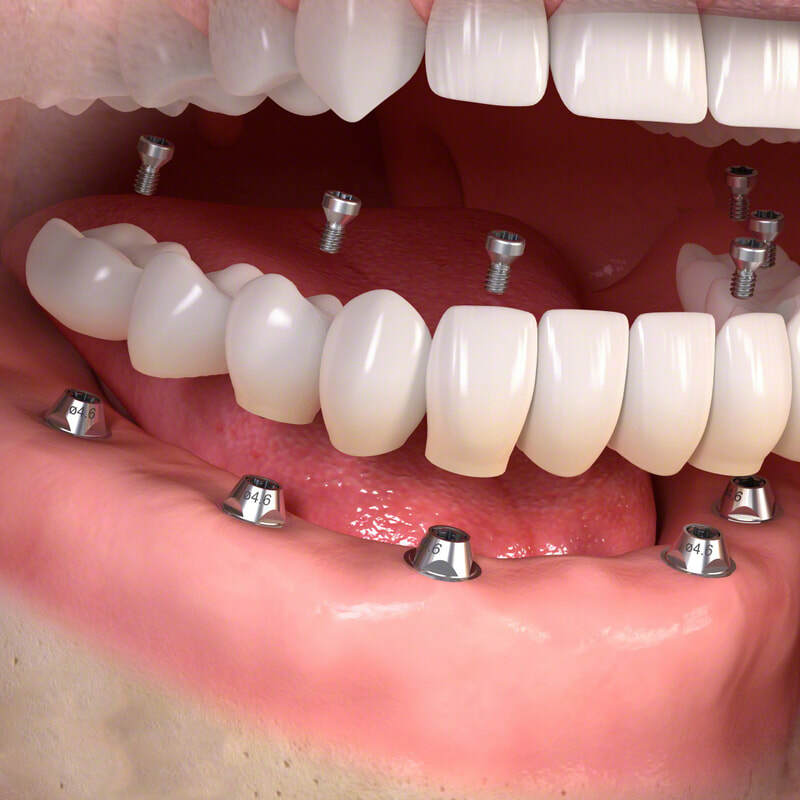 Dental Implants provide a fixed and predictable solution for replacing missing teeth. 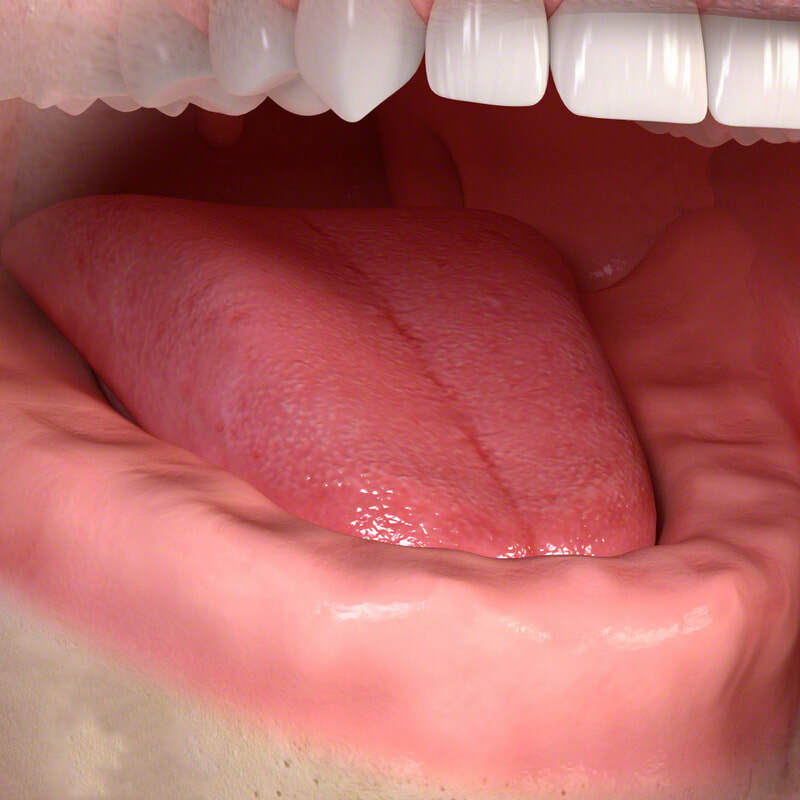 When you are missing a full arch of teeth your only other option would be a conventional denture or an implant retained denture. 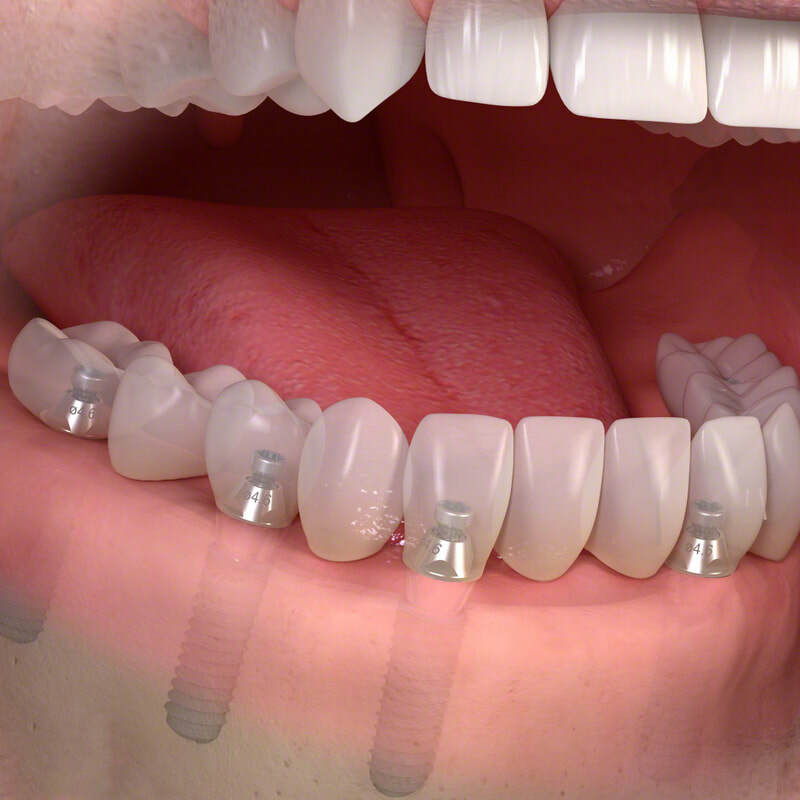 There is of course the option of not replacing your teeth and living with loose and uncomfortable dentures which many people choose to do, depending on your personal preference and how the missing teeth affect your daily life you may want to look at your options before making this decision.